The CPUC opens many proceedings on telecommunication issues. If you would like to get involved in a proceeding, there are several ways to do so, either informally or formally. The chart below is a comparison of 3 levels of involvement. Should you participate at the highest level, as party to a proceeding, you should check out the page below so that you are aware of your responsibilities. The Order Instituting Rulemaking to Consider Modifications to the California Advanced Services Fund (R12-10-012) was issued in October 2012. With the passage of AB1665 there are further changes to the program, and in February 2018 a scoping memo was released that clarified the issues to be considered in a 2-phase process. The Rural Call Completion Proceeding (I14-05-012) was opened on 5-15-2014 to look at issues related to the completion of rural calling, and Mendocino County is party to this proceeding. Documents from this proceeding are posted here, with the most recent at the top. ————————————————————————————————————-Important Notice: This Proceeding is currently open, and this 8-question survey was developed to provide more information for the proceeding. Any residents who have had issues with dial tone, quality of calls, broadband outages, and especially the inability to call 9-1-1 – please let the PUC know by taking this short easy survey. Personal information such as name, phone number, and address will NOT be made public (they will be redacted) when survey results/comments are posted. The carriers were not happy with the Final Decision, and have since been seeking ways to undermine the Decision. They have requested to the PUC a delay on implementation of the requirements of the Decision, a stay on the requirement, and a re-hearing on the Decision. Mendocino County responded to each of these requests in some way. On 12-20-16 the Final Decision (approved at the 12-15-16 PUC meeting) was released. This is a long 180-page document but it has a lot of good information in it. However, for convenience I did create a short 2-page summary of the decisions found within the full document that affect public safety in Mendocino County. These two documents are below. Older documents are below that. Becoming a party to the proceeding had the advantage of allowing a Public Participation Hearing (PPH) to be held in our county for the PUC to gather data on the issues, which was an important foundational activity. Commissioner Catherine Sandoval traveled the state in this proceeding, holding PPHs to hear directly from rural citizens about their concerns as they related to call completion, public safety and loss of 9-1-1. The Ukiah PPH was held on July 15, 2016 in Ukiah at the Board of Supervisor’s Chambers and had great participation, especially from our public safety officials. These comments went directly into the public record, and were considered in the writing of the final decision by Commissioner Sandoval. You can see the video of the entire PPH above. In 2015 the scope of the proceeding was expanded to include outages, loss of dial tone and public safety issues. 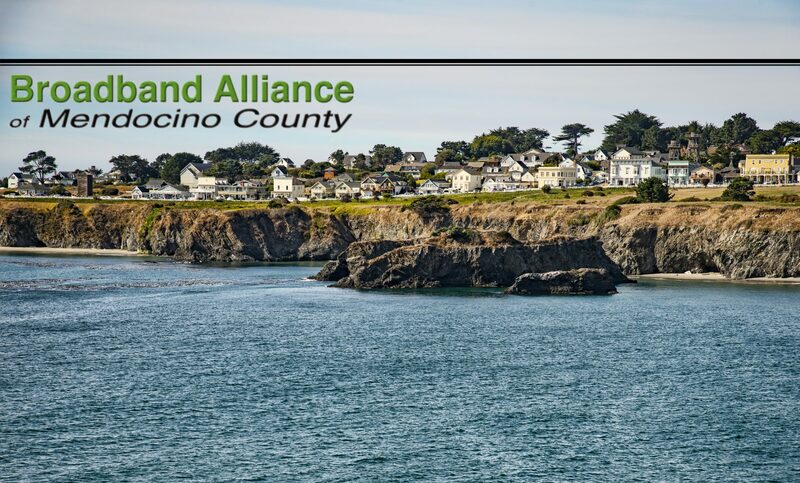 With this expansion of the scope, Mendocino County became interested in becoming a party in light of the widespread outages of 2014 and 2015, and the accompanying public safety issues. The county petitioned for party status in this proceeding in January of 2016 , and that status was granted on 4-7-16.